While there are many reasons one sheet metal fabrication company outperforms another, two of those have to do with using the best tools and techniques. That combination gives the fabricator more room for creativity, precision, and speed. As the customer, that means receiving an excellent finished product made to your specifications and tight tolerances. Every fabrication company has unique tools. However, for making stellar custom parts and components, an expert should utilize several specific sheet metal fabrication tools, including those listed below. Grinder – Either a 4.5 or 6-inch angle grinder is an essential tool for grinding, cutting, and polishing various types of metal. Due to the extreme demand placed on this tool, a reputable company uses only the best. Grinder Discs – It is also important for a fabricator to have different angle grinder discs in his inventory. With things like flap discs, cutoff wheels, grinding wheels, wire wheels, and more, the expert can accomplish many tasks. Fasteners – Primarily used on an aluminum workpiece, this tool temporarily holds multiple sheets together before joining them permanently. With this, the fabricator can better control numerous sheets of metal. Wire Cutters – All skilled fabricators have wire cutters, which are perfect for snipping off frayed ends of metal. Throat-less Shears – If your product required a curved, irregular, or straight cut, the fabricator would rely on these unique sheers. Designed with three holes for easy mounting, as well as a tall handle, the expert has the leverage needed to cut mild steel, stainless steel, and aluminum. Drill Bits – With an almost infinite list of options, the best fabricators use drill bits when making all types of metal parts and components. As for the techniques that the top fabricators use, the following are some of the most common. Keep in mind that these are just a few examples, as there are many others. Assembling – With this technique, the fabricator welds, uses adhesives to bind, and bends the metal to form a crimped seam. Bending – A reputable fabrication company uses a CNC brake machine to bend the metal. Cutting – Using various techniques, the fabricator cuts pieces of metal without melting, burning, or forming chips. Finishing – In this case, the expert finishes the surface of the fabricated part or component, making it more visually pleasing. Finishing can also make metal resistant to corrosion, tarnish, and wear. In fact, this technique can improve electrical conductivity, hardness, and solderability. Punching – With punching, equipment used in the fabrication process creates louvers, holes, or a specified shape out of sheet metal. Stamping – Using a die, the machine simultaneously or progressively makes a single or several bends and punches. A fabricator also uses stamping for embossing purposes. At Weldflow Metal Products, our experts use cutting-edge tools and highly innovative techniques to produce what the customer wants. The next time you need a part or component fabricated, give us a call. We will not disappoint. This entry was posted in Sheet Metal Fabrication. Bookmark the permalink. 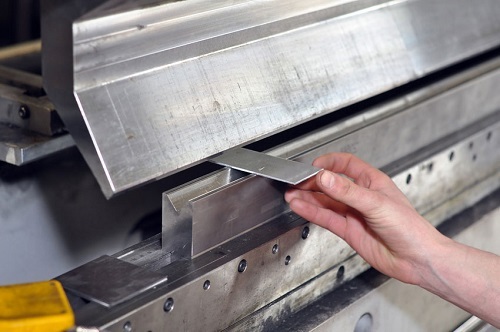 ← What Does Custom Sheet Metal Fabrication Consist of?